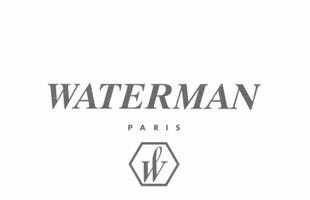 The smooth curves of the Waterman Carene ballpoint pen were crafted to conjure up the sleek lines of a luxury yacht, leading to a tapered profile that fits comfortably in the hand. The Deluxe Black is the pinnacle of the Carene range, featuring a decadent chiselled silver-plated cap and splashes of 23k gold trim. 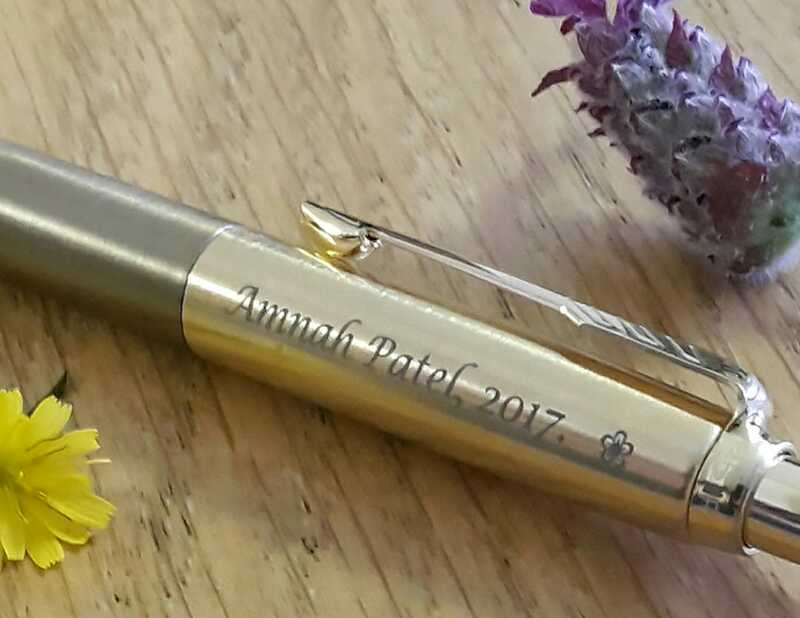 Add a new flagship to your fleet of stationery with this gorgeous pen. 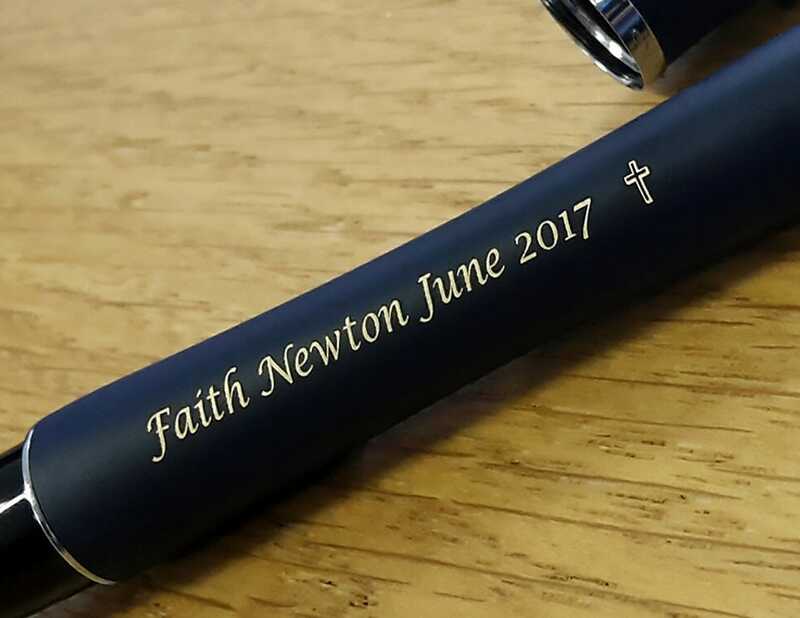 Pen lovely, but engraving not what I expected. Thought it cheapened the look of the pen, and had I have known it was more of a basic punched type engraving I would not have chosen this option. Bit disappointed unfortunately as it was a gift. Made the pen look like it was a run of the mill company pen.